Surfing is an incredibly intense sport. Even just paddling out to the waves can take a lot of energy out of a person, and that’s before the real surfing even starts. As a result, it’s important that every surf lifestyle includes a full surfing workout, recovery exercise, and the right diet. Developing this kind of complete surf lifestyle means that you can maintain the ideal surf body to ride longer and surf better. To help you out with this, we have compiled a list of some of the best nutrition supplements, tips and snacks to fuel those exercises for surfers. And, because diet is equally important when you are out on the waves, we have also included some ideas for that crucial muscle recovery food. So how do you develop a diet that will perfectly optimize your surf body, giving you the best performance possible? One way to do it is to break down what it takes to surf, and look at which specific body parts each one utilizes. By targeting each body part affected, you can strengthen them, eat muscle recovery food to target each one, and boost your performance next time around. Body parts utilized - shoulders, arms, upper back. For this upper body-focused motion, you need plenty of shoulder flexibility and stamina to ensure you can get through the whitewash of breaking waves. Highly intensive paddling is broken up by duck diving under the wave. A skill utilized by pushing the surf board under a already broken wave that is coming at you again requiring arm and midline strength and coordination. Once through the broken wave intense paddling resumes. Body parts utilized - chest, arms, core. The pop up occurs when you push up from a prone position on the board to a standing position. You will need an aggressive push off the board with the arms, then utilize your hips and core to bring your feet to the board. You must stay balanced on the board during this transition requiring incredible agility and coordination. Now that your up lets get to the most fun part, turning! Body parts utilized - core, legs, lower back. Turning makes up the the most fun part of surfing (once you’re good enough) and requires pretty much your entire body. All of your muscles are working when making a turn on a wave. Your legs, midline, and even arms are being utilized to stay balanced, in the right position and help provide power to the board to make it move from edge to edge. When learning the finer points of all the parts of surfing it helps to know how the pro’s train and recover. Shane Dorian, one of the most accomplished and well known surfers in the world provides these workout and supplement tips. Core work - Utilize planks, superman’s, abmat situps as well as rotational movements to keep your body ready for the dynamic situations of the ocean. Flexibility - Spend time doing improving the range of motion of all your joints by stretching for 15-30 minutes a day. Recovery - Chocolate Recovery is taken after any surf session or training. Chocolate More Muscle is added to a morning cup of coffee along with MCT oil when possible. Unlike with many other sports, it’s not easy to take food and drink out with you when surfing. This means you have to be sure that, if you are surfing for long periods of time, you take breaks for meals here and there, or bring some food that’s easy to eat on the go. Here are some good muscle recovery foods for when you are out for a long day of surfing. 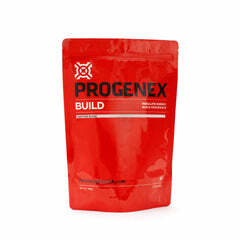 Progenex Haute Cakes have optimal amounts of fat, carbs, and additional whey protein isolate that mean you can have an energy filled, guilt free breakfast before a long day on the ocean. Some good homemade snacks for a surf day include a banana sandwich, fresh fruit, muffins, smoothies (low-fat milk, banana, yogurt), cereals, meat, cheese, potatoes, and baked beans. A lot of these are carb and protein focused. This is because you will be burning a lot of energy when surfing, which will require a lot of food to decrease recovery time and to give you more energy. Supplementing your diet with Omega 3’s will help lubricate your joints by controlling inflammation. This should help keep you moving all day long in and out of the surf zone. 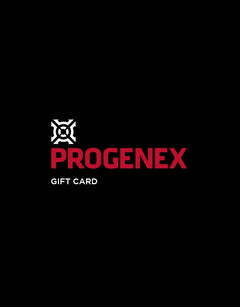 Progenex Omega+ has the perfect blend of everything your body needs to recover and to be ready to go again tomorrow. 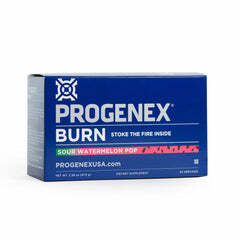 It is designed to reduce inflammation, accelerate recovery, and boost athletic performance, meaning you can recover quicker. When recovering between surf sessions whey protein is useful for helping heal the muscle tissue to aid your post workout recovery. 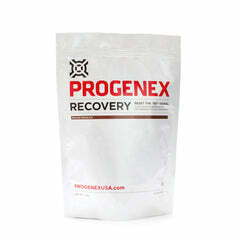 Progenex Recovery is a protein shake that, when taken within 30 minutes of your workout, will provide the body what it needs to recover faster and stronger. 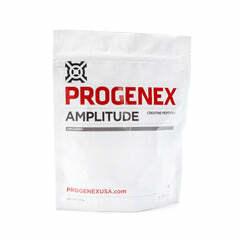 The whey protein isolate has been hydrolyzed, allowing for quicker absorption. 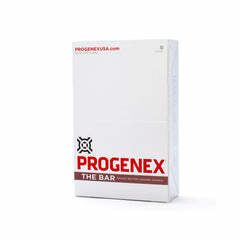 While you are out for the day, The Bar by Progenex is also a great meal replacement option to keep your energy up. It is high in carbs and protein, and perfect for replacing all of the nutrients that you will inevitably use during your surf session. It also contains hydrolyzed whey protein and conjugated linoleic acid to increase endurance capacity and encourage lean body mass. Night time recovery is just as important as what you do during the day. Casein protein powder will help your muscles recover overnight and slowly provides all of the protein you need so that your muscles are constantly being replenished with protein. 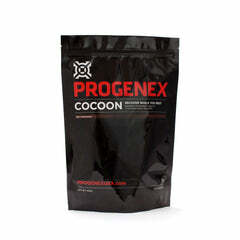 Progenex Cocoon is the optimal product for providing deep, restorative, and reparative sleep. All of the wear and tear from surfing all day needs to be repaired, to help increase the ability to surf the next day. It is always important to recover properly after exercise, but when you are aiming to be out surfing all day — and then go out again tomorrow — it becomes even more important. Just as important as your recovery exercise is the food that you eat. Hopefully you now have a better idea of the kind of nutrition you should be looking for in your diet to boost a surf lifestyle. Try to implement at least a few of these muscle recovery foods into your routine, and you are certain to notice the difference next time you are out on the waves.